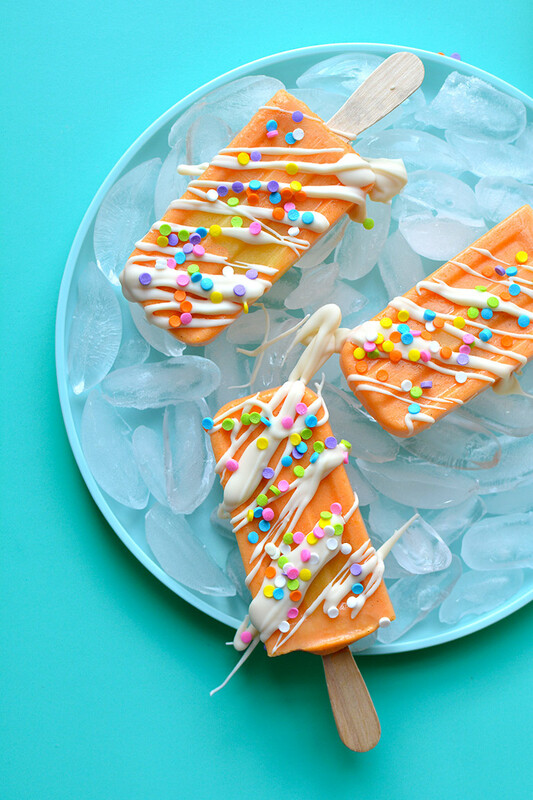 These orange dreamsicles with rainbow sprinkles are a fun summer treat the whole family willl love. 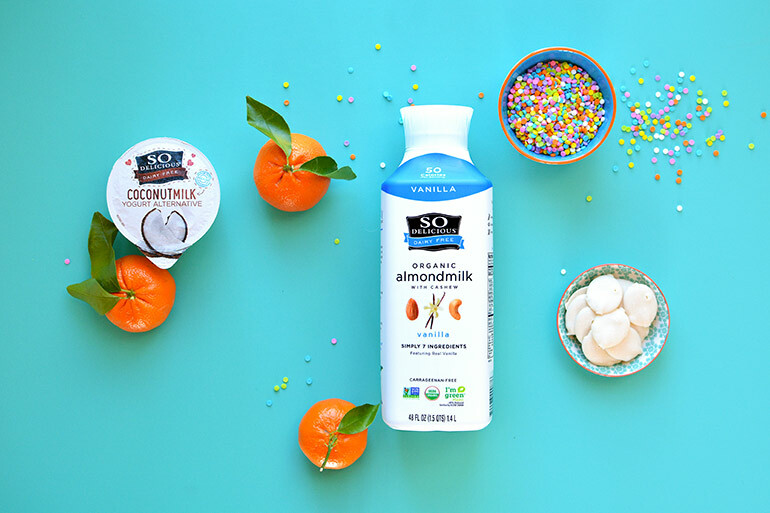 They're made with So Delicious Dairy Free's new organic almondmilk and their coconutmilk yogurt, orange extract and fresh clementines. 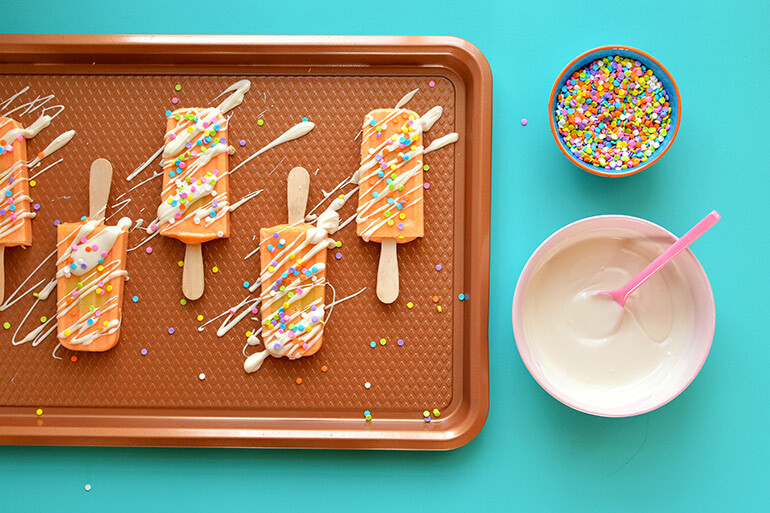 The dairy-free white chocolate drizzle and rainbow sprinkles take these to next-level awesome! 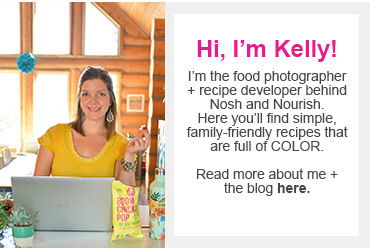 This is my third post in a rainbow series I created for Target (helllllllllllo, dream come true!). Today we're talking summer treats. And while peach cobbler and s'mores and fruit pizza definitely make me think of summer... nothing quite defines summertime quite as well as popsicles on the patio. 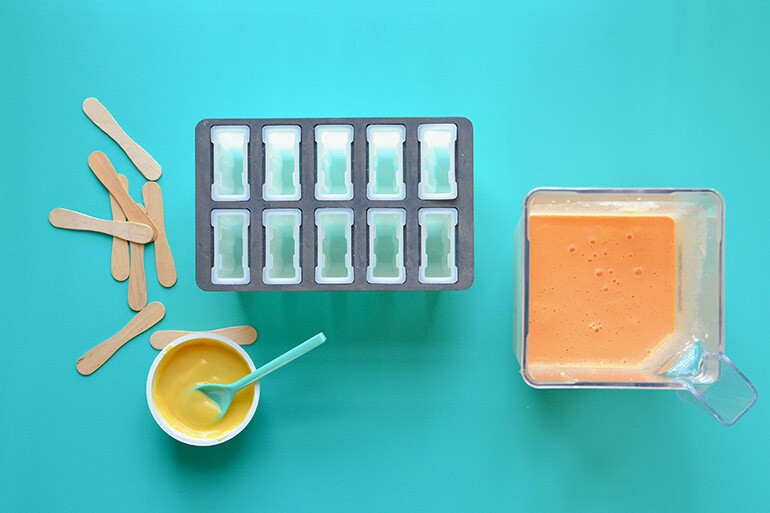 I've been making homemade popsicles since Babycakes was little. Chocolate avocado ones, strawberry ombre ones, tropical sunrise ones, and even unicorn pops.... it's so easy to blend up something delicious! She loves sitting out on the patio in the summertime with a frozen treat. Speaking of Babycakes... She's the reason I started my blog. I want her to grow to love her body, to have a positive relationship with food, and to KNOW 100% that she is strong, beautiful, and loved. Once she was born, I redefined "normal" for my family, and started eating and preparing healthier meals -- full of fresh fruits, vegetables, legumes, nuts, and seeds. And while my family isn't entirely vegan or vegetarian, we are always looking for ways to get more plants into our diet and to eat the rainbow. It was all about relearning how to eat nourishing foods that would fuel our everyday activities. 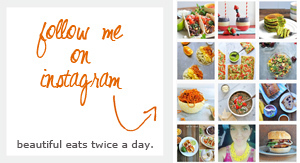 So if you've ever loved one of my recipes or liked one of my pretty food photos, you have Babycakes to thank. Then, top with white chocolate drizzle and sprinkles. Sprinkles make everything more fun. Am I right?! And the best news---> All of the So Delicious Dairy Free items that you need for this recipe are currently on sale with the Target app (5/5-6/5)--- so be sure you have it (or download it) to save 10-15%!